Experience the real Zadar - we are located in the heart of Zadar in the charming and safe local neighbourhood of Arbanasi, its only 10 minutes walk from the MAIN BUS/TRAIN station and 10 minutes walk from the beautiful stone beaches, bars and cafes of Kolovare. This arty yet charming hostel is run by an Aussie and British Indian travelers, and was recently revamped by a group of local artist. spacious fully equipped guest kitchen with a supermarket 2 mins away. Our staff are travelers and locals with expert knowledge of Zadar and beyond, we speak 15 languages between us! We have an expert travel hub where we can arrange your trips in Zadar or beyond, or transport to festivals over summer. And yes we do have a fig tree with figs (and mulberry and peach tree) for guests to enjoy! Our hostel is set in a spacious converted Croatian building in the charming suburb of Arbanasi where you get to experience the real Zadar, it has traditional yet clean and modern features. We offer a welcoming and relaxing atmosphere. We are only 10 minutes walk from the famous beaches, bars and cafes of Kolovare and a 20 minute stroll from the Old Town of Zadar and its maze of fascinating streets and buildings. At The Wild Fig Hostel, our rooms are clean, spacious and are kitted with comfortable mattresses. All our bunk beds have been raised giving more space for the taller guests. Our ground floor has 5 large dorms with high ceilings, and our 5 private twin/double rooms are located upstairs with separate facilities and 2 of our private rooms have terraces. Our hostel has a beautiful spacious garden where you can relax and unwind. 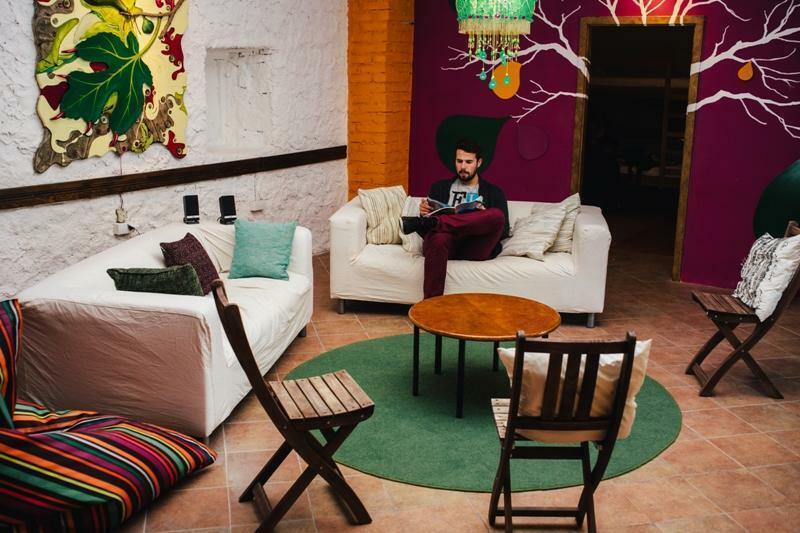 Our hostel features a comfortable and spacious lounge area, providing the perfect place to sip a drink, listen to music and meet people from around the world. Upstairs we have a peaceful sun terrace with views of the mountains, a lovely place to bring a book and relax. Our guests are welcome to use our free Wi-fi internet. Whilst we are not located in the Old Town, you can still have fun in our hostel bar or we can arrange a taxi ride into town costing only a few euros. We want to make this the place in Zadar to relax, chill out and experience the simplicity of the Croatian lifestyle. 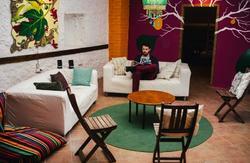 Our guests have described our hostel as romantic, intimate, charming, inviting and peaceful - yet a fun place to be! So whether you're stopping over on your way to the Dalmatian archipelago of islands or looking for a place to kick back and unwind for a few days, The Wild Fig Hostel is a home away from home. Please ensure you advise us of your late check-ins - you can email/text us directly if you arrive after 10pm, or if you need a taxi/van-pick up from the airport. Do get in touch with us if you have any other specific requirements. Have a great holiday in Zadar! Cancellation policy is 1 day in advance, failure to cancel in this time will result in a cancellation fee equivalent to one nights accommodation. Tourist tax: Guests must pay a 7 kuns (approx 1 EUR) tourist tax in addition to the room rate. 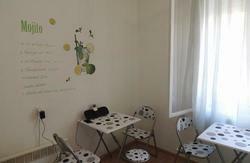 Our hostel is just a 5 minute walk from both the Zadar bus and train stations. If you are arriving to Zadar by bus or train the bus station and train station are located right next to each other. When walking to our hostel from the bus station - you must turn left where the taxis are parked and walk straight ahead past the HYUNDAI car dealership on your right. Continue walking (there is a slight curve in the road) and you will pass the NEC coffee shop and tennis courts on your right. To your left you will see a local football pitch and basketball court. The Wild Fig Hostel is located just a few hundred metres past these on the right hand side of the road. Look out for our sign and green gate. The airport is located approximately 8 km from the city centre. The Aerobus takes approximately 15 minutes and will cost you 25 kunas including your luggage (just over 3 euros). The Aerobus will drop you at the main bus station, follow the walking directions provided above, we are just 5 minutes walk away. Alternatively you can take a local taxi from the airport which should cost you no more than 150 kunas. If you contact us before your flight into Zadar, we are more than happy to arrange a local taxi to collect you from the airport. When you reserve just provide us with your name, flight number and arrival time so we can organise the taxi to meet you when you land.